Every hypergrowth, million-dollar breakthrough launched by a huge company almost always begins with an entrepreneur who nearly got fired. But too often we only see the ribbon cutting ceremony. We see the jump in stock price. But we don't know who the actual intrapreneur is, and we don’t know how they built it. In this talk Greg Larkin, best-selling author of ‘This Might Get Me Fired’ takes us into the room where astounding innovations are launched in huge companies. Where bold intrapreneurs break every rule. 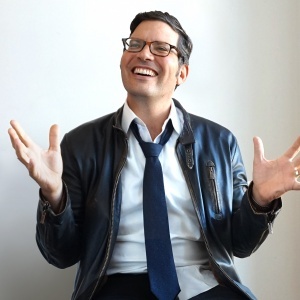 He pulls from his experience at Google, Uber, Bloomberg and across the Fortune 500 where Greg has launched some of the most astounding transformations of our time with some of the biggest companies on Earth. If "innovation" is rock and roll, then Greg Larkin is punk. He is the best-selling author of This Might Get Me Fired, which chronicles his experience launching disruptive, million-dollar startups in some of the biggest companies in the world. When Greg’s startup Innovest was acquired in 2009 he embarked on the tough transition from startup entrepreneur to corporate intrapreneur. Since then he’s launched over 30 million-dollar products at Google, Bloomberg, Uber and across the Fortune 500. Along the way he’s been celebrated, fired, promoted, re-hired, and eventually emerged as a voice of raw truth in the innovation chorus.